-4. 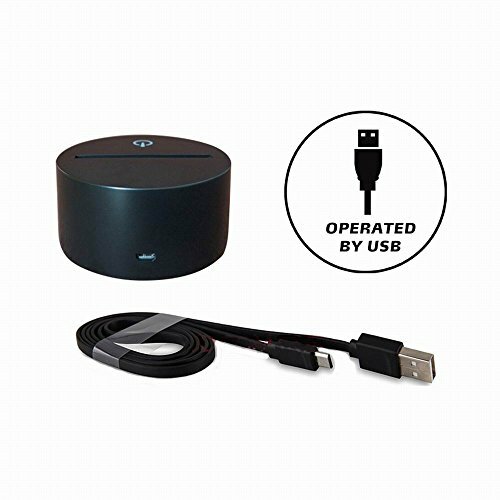 Coming with USB power adapter, you can connecting it to your home power socket or computer USB port. -5. It can be put in bedroom, child room, living room, bar, shop, cafe, restaurant etc as decorative light. Note: 1. It may have a protective film on surface of the light, please tear it out before you use the light. 2. 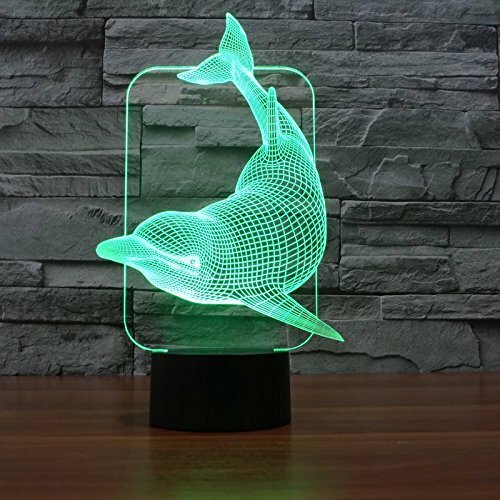 3D just Visual, the lamp itself is Flat. 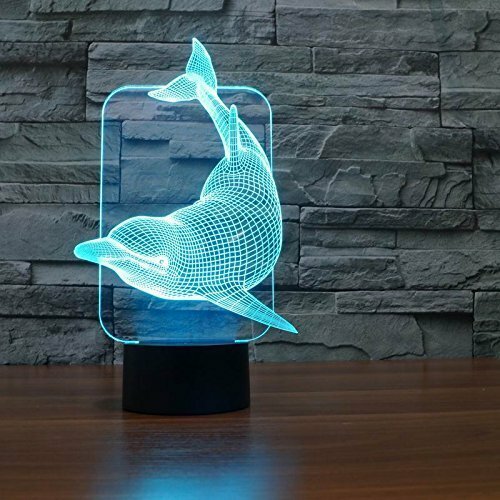 Perfect for home decoration, play room, man cave, office,kids room decor, perfect night light Fully color customizable by smart touch button with 7-color display. USB charging. Powered by 5V USB or AC adaptor with 5V output USB Port Automatically color changing mode. Press the touch button to last color, then press it again, auto color changing The RGB 3D 7-color gradual changing LED touch switch visualization illusion atmosphere desklamp and nightlight is a fantastically unique item that makes for the perfect gift. 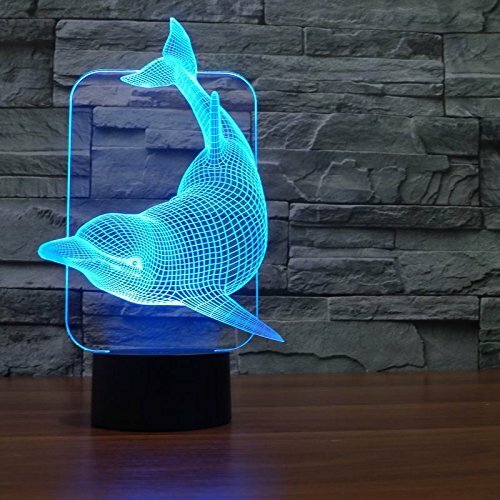 The lamp makes the perfect gift for kids,adults,families and friends Note:When you touch the power switch first, it shows the first color. Touch second, the light turns off. Touch third, it shows the second color. Until the lamp shows the seventh color and turns off, it will be going to the mode of 7-color gradual change.